Renowned as one of the leading MPVs on UK roads, this impressively stylish family car features sweeping exterior contours, a refined and spacious interior that's incredibly flexible, and a ride that's punchy and responsive. 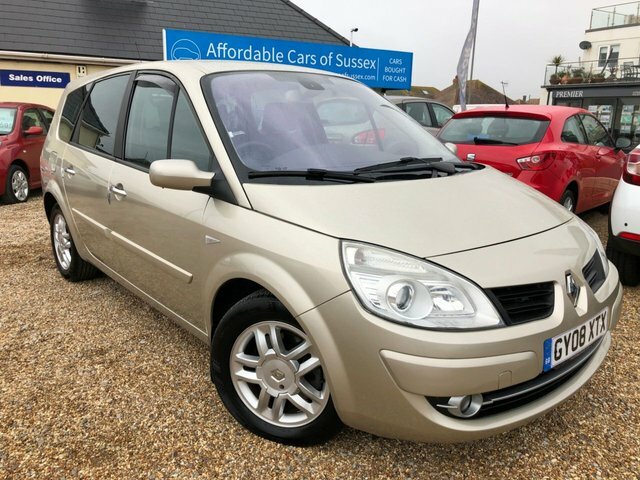 You'll find some great deals on used Renault Grand Scenic models for sale in Peacehaven at Affordable Cars of Sussex. Why not take the opportunity to browse our complete range of used cars here on the website before getting in contact with a member of the team to arrange a test drive. We always go the extra mile to ensure our customers find the perfect used cars to meet their lifestyles and budgets.